The Pro-V M22 is a precision multi-variable in-line vortex flow meter utilising three primary sensing elements: a vortex shedding velocity sensor, an RTD temperature sensor, and a solid-state pressure transducer to measure the mass flow rate of liquids, gases and steam in commercial, industrial and municipal applications. Combined with the M22 energy monitoring option, it permits real-time calculations of energy consumption for a facility or process. The meter can be programmed to measure steam, hot water or chilled water. 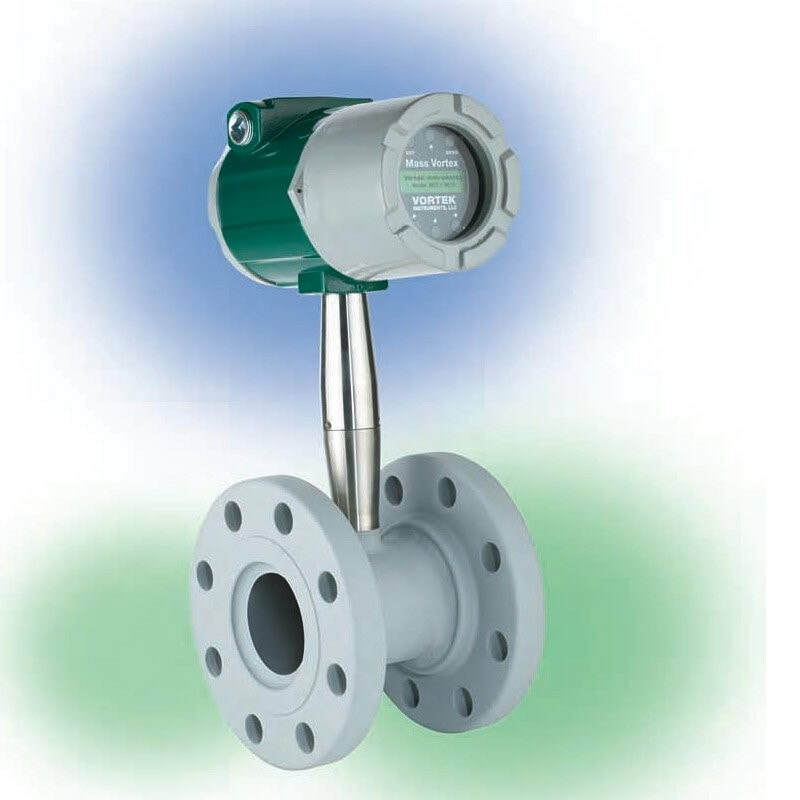 The Model M22-VTP flowmeter monitors one side of the process, either sent or return, and uses the input from a second separate temperature sensor on the opposite leg of the process to calculate the change in Energy. The local or remote electronics indicate two temperature, delta T, mass total and energy total. A precision multi-variable in-line vortex flow meter with energy monitoring option for real-time calculation of energy consumption for a facility or process.